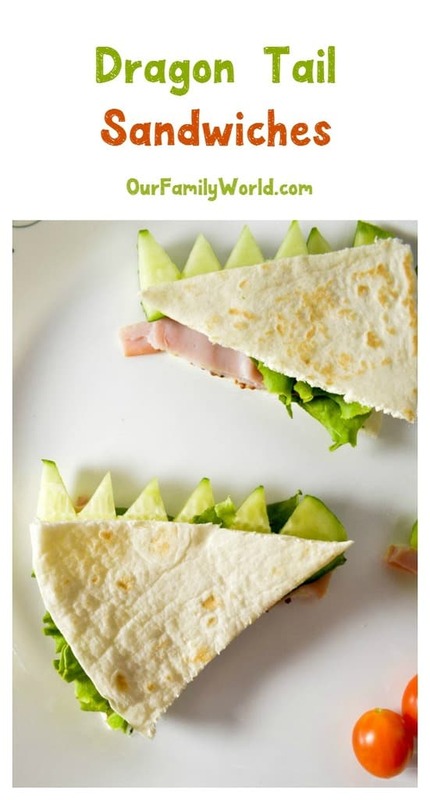 With the brand new reimagining of Pete’s Dragon coming out soon and back-to-school season around the corner, we thought this would be the perfect time to introduce this super cute Dragon Tail flat-bread sandwiches recipe for kids! I’m always looking for fun new lunchbox ideas for my son. It has to get boring, eating the same old sandwich every day. I’m also always trying to find new ways to get him to try different veggies. This recipe is filled with things that are good for him, yet it’s so cute that he’s not going to mind eating healthier. Best of all, it’s really easy to make for those rushed mornings. You could even make it the night before and keep it in the fridge! Let’s check out how to make this Pete’s Dragon inspired recipe for kids. Do you have any cute Pete’s Dragon inspired recipes for kids? How about any other movie food that you love to make together? Share in the comments! 1. Prepare your flat-bread sandwich. On a single flat bread, layer on your condiments (you can choose to add more to yours if you like!) and add your meat and greens. Top it off with another single flat bread. Cut into eighths. 2. Cut cucumber into slices and then carve out triangles at the top to make your dragon tail ridges. Insert into the side of your cut, flat-bread sandwich. Prepare your flatbread sandwich. On a single flatbread, layer on your condiments (you can choose to add more to yours if you like!) and add your meat and greens. Top it off with another single flat bread. Cut into eighths. Cut cucumber into slices and then carve out triangles at the top to make your dragon tail ridges. Insert into the side of your cut, flatbread sandwich. Isn’t it adorable? Such an easy recipes for kids, even they can help make it. 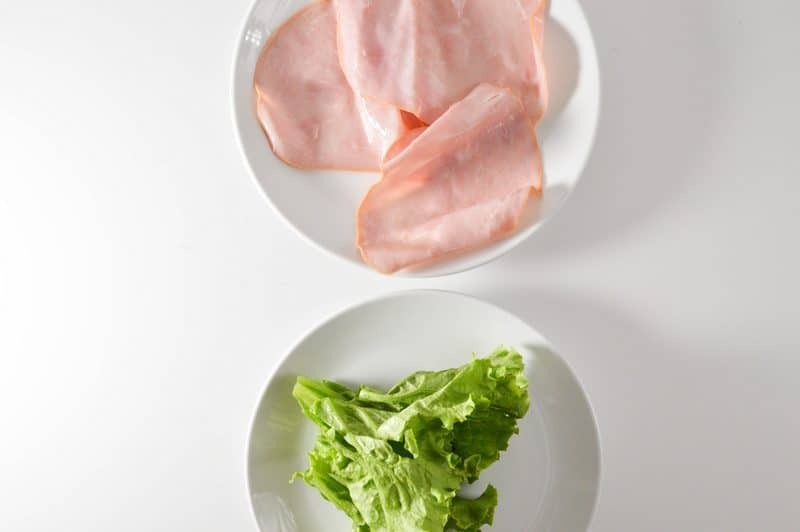 If your children don’t like ham or turkey, you can really go with any cold cuts here. The mustard is also just a suggestion. Feel free to use Mayo or anything else your kids like. While you can skip the condiments altogether, they do help hold everything in place. Kind of like glue! Looking for more great back to school lunch recipes? Check out our Ham & Cheese Pinwheel Sandwich or our Shish kebab Sandwiches! They definitely make lunch time more fun. We want our kids to actually eat what we pack, right? The more fun you can make it, the more likely they are to keep it instead of trading it away. These are adorable! Thanks for sharing with the Delicious Dishes Recipe party this week! These are so cute and healthy too! Thanks for sharing at Welcome Home Wednesdays! Omgosh, how cute!! 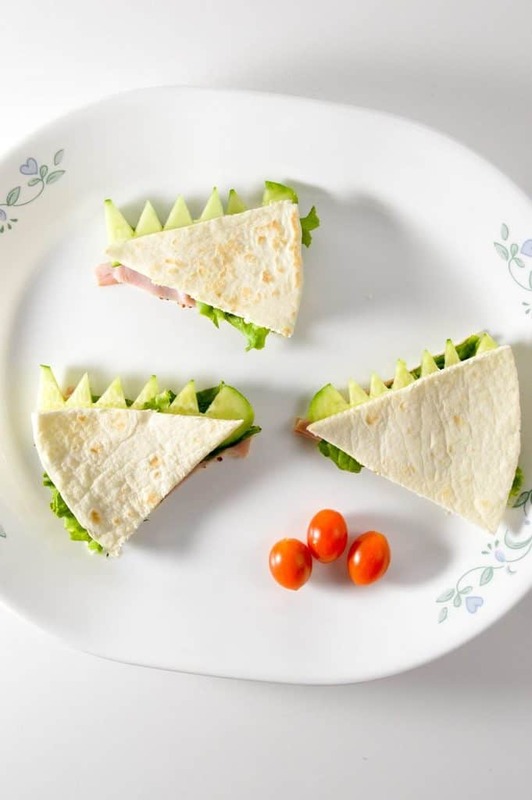 This is such a fun and playful lunch idea! Thanks for sharing your recipe with us at Merry Monday this week! That’s just so adorable! This is perfect for when you’re making a bento box, just turn it into a dragon theme. It will be a hit with the kids! This is so cute! I’m sure my nephew, who’s a dragon and dino fan, would love this! This is a wonderful recipe and perfect for kids’ snacks. I’m gonna try this out for myself, though! Thanks! That is a pretty nifty sandwich, I am totally going to make these up one day this week. I love Pete’s Dragon and can’t wait to see the new film! What a neat idea for a sandwich!! I know my boys would love these sandwhiches! THis is a really good way to teach kids to eat veggies plus its cute and fun. That is a really cute idea and a great way to get kids to eat their veggies!! Thanks,i shared on facebook so all my friends can make them for their kids….i love it !